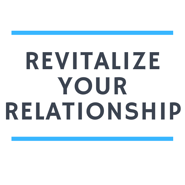 If you are ready to make your happiness AND your marriage a bigger priority in your life, this consultation will give you the next step you need to take. Coaching will help you overcome the challenges you have been struggling with on your own so you can feel empowered and loving again. In this free consultation I will take you through a process to find out exactly what your goals are + the steps you need to take to get there. 1. Sign-up for your free session by choosing your time zone, desired appointment and completing a consultation request form below. 2. I will reach out to you personally to confirm your request. 3. At the time of your session, join me on the call using the Zoom link I provide you with on your computer or phone. You can expect to leave the session with a clear sense of the best next step in your life.